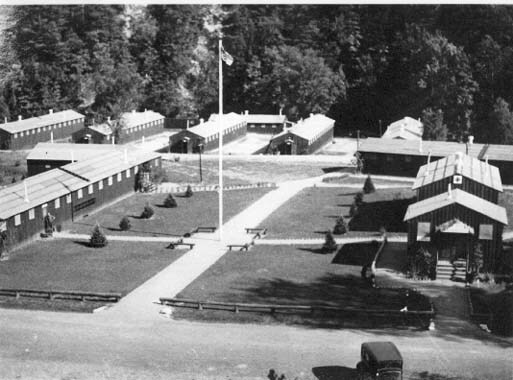 This view of the Gibsonville Camp was probably taken around 1934. The Camp was built on the site of the old village of Gibsonville, along the Silver Lake Outlet. Please note the military style layout and barrack style buildings. Some foundations of these buildings and the remains of a stone fireplace can still be seen.